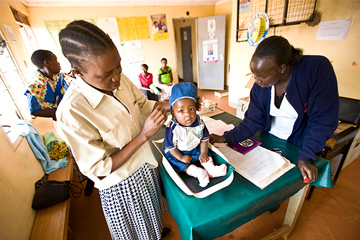 We cannot undervalue the importance of U.S. investment in global health security, both through the GHSA and initiatives aimed at ending epidemics such as the Global Fund, the President’s Emergency Plan for AIDS Relief (PEPFAR), the President’s Malaria Initiative (PMI), and USAID’s tuberculosis (TB) program. Strengthening health systems around the world, ending deadly epidemics, and preventing outbreaks at their sources saves lives and protects millions of Americans. In 2016, U.S. citizens took more than 80 million trips abroad, and 9 million citizens lived overseas. As Americans cross the globe — exploring, researching, visiting, vacationing, helping, serving, learning – they depend on health systems everywhere. If we fail to strengthen global health systems, Americans risk greater exposure to infectious killers such as malaria and TB, or outbreaks like Ebola or SARS. While the American health system is well-equipped to handle diseases once they are discovered, it comes at a steep cost. Take, for example, TB. According to the CDC, the United States reported nearly 9,200 cases of drug-susceptible TB in 2016, with a direct treatment cost of $18,000 per case. For each of the 96 multidrug-resistant TB cases that year, direct treatment cost $160,000. There was only one case of extremely drug-resistant TB in the United States in 2016, but it cost more than $500,000 to treat. TB also has a negative impact on the global economy. 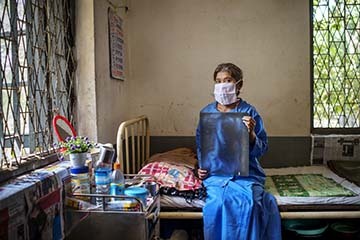 The Global TB Caucus “estimates that deaths from TB will cost the global economy nearly $1 trillion over the next 15 years.” In 2016 alone, TB cost the U.S. economy $451 million. The costs, direct and indirect, to the U.S. of diseases like TB are substantial, and provide a compelling security argument for investment in global health systems. Finally, global health security has national security implications. According to the Department of Defense, the U.S. had more than 200,000 troops abroad as of June 2017. Those Americans are exposed to the vulnerabilities of health systems in the countries that host them. According to a report from the Center for Strategic and International Studies, in “World War II and in other wars prior to that, the likelihood of becoming incapacitated from illness was actually higher than the chances of being killed in combat. In these latest wars, that’s not been the case.” However, it is important to ensure that the U.S. does not backslide on health risks for troops stationed abroad by continuing to invest in efforts that stop disease from spreading. 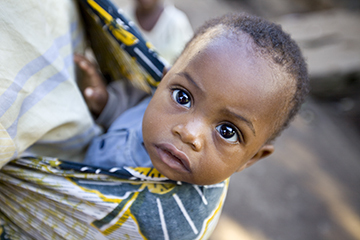 These are just a few reasons why maintaining steady investment in U.S. global health assistance is so critical. The U.S. has saved millions of lives by investing in bilateral programs such as PEPFAR, PMI and USAID’s TB program, in coordination with the public-private Global Fund partnership. With U.S. investment in global health representing only a quarter of 1 percent of the federal budget, the U.S. should not take its foot off the gas. Continued funding for these programs can save lives while also improving our nation’s own health security.